New Zealand is losing its ability to connect with Chinese consumers and is failing to keep up with their fast changing needs. An over-reliance on Chinese e-commerce platforms to sell our products for us means we are quickly losing our local knowledge and are risking our future in the world’s biggest market. Our budding love affair with Alibaba, the retail giant with hundreds of millions of customers across China, is a key example of this. At face value, using Alibaba would seem a smart move for an exporter seeking to test the waters in China without spending too much money on marketing and logistics. Thanks to Alibaba, I can find my favourite Vogel’s muesli in Shanghai at the same price as a New World in Auckland. 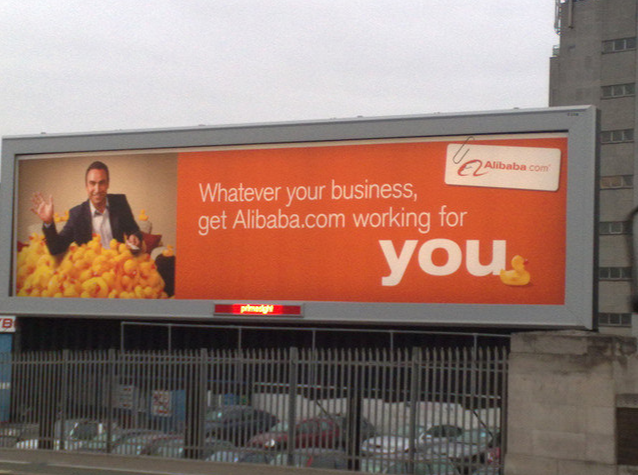 Across Taobao – the Chinese name for Alibaba’s main website – and a range of other online platforms, you can find anything you would hope to find in a New Zealand supermarket. Our trade officials support this and have helped Alibaba to grow in New Zealand and connect with our producers. So where lies the problem for our New Zealand exporters? Simply, we are losing touch. As we send more and more packages across New Zealand direct from factories and farm gates, we are neglecting to put more feet on the ground in China to actually learn what our customers want. By relying on Alibaba and other platforms to deliver our products, we give away control over our supply chains, risking our brand image and the quality of our products. We also give up margin, eroding the premium New Zealand products used to have in China. There are many examples of this in our already foreign-controlled meat industry, and an increasing number of examples in honey and dairy. The problem is, once we give away our unique position it is very hard to earn it back. We should be clear: the impact of our decisions now will ultimately change our long term opportunity in China. Losing sight of our customers is a serious risk. China is changing so quickly that if we aren’t actually in the market we will struggle to understand the trends driving changing consumer needs. It will become near impossible to design and innovate according to these needs. For example, there is a big opportunity awaiting New Zealand honey suppliers to come up with new product packaging for squeezable drinking honey – a product aimed at household mothers wanting to buy for their in-laws. However if we are not spending time in the market, we are left trying to develop strategies from afar and make investment decisions based on guesswork. New Zealand’s country of origin brand – our clean green, high quality, safe image – is strong still, although our e-commerce struggles to attract the same number of mouse clicks that we used to. Bigger online marketing budgets and tougher competition from Australia, Germany, Chile, Ireland, France, USA and other countries mean Alibaba and their consumers have more choice and opportunity for comparison. This has given Alibaba more leverage in negotiating with our smaller suppliers around pricing at the cellar door or the farm gate, further weakening our margins. It’s right for us to engage with Alibaba on New Zealand’s doorstep but we need to be more aware of the risks around this type of channel strategy. Giving away our hard-earned ability to compete in China is a very real risk we must work together to stop. A new strategy for how we, as a small country, approach the Chinese market to guarantee success for future generations is overdue. Without it, it won’t be long before we are squeezed out. *Alex Worker is Director, Hatchery Beijing. The views expressed in this article are his own and do not represent the views of any organisation that he is associated with.